Unusual tooth enamel can be addressed with restoration dentistry. 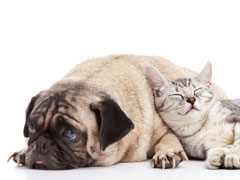 Dale Kressin DAVDC: Animal Dentistry and Oral Surgery Specialists, LLC. The American Veterinary Dental College (AVDC) has a nomenclature comittee. One charge of the comittee is to help with communication between professionals with regard to appropriate terminology. 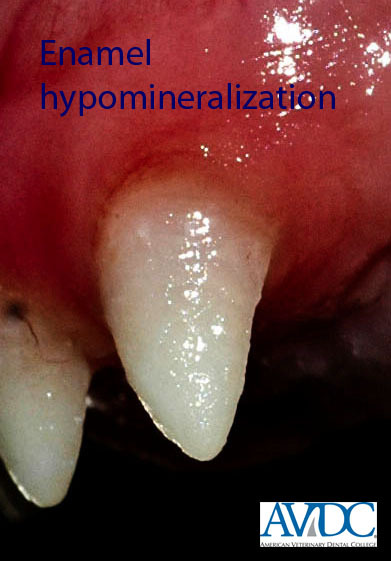 Amelogenesis imperfecta "includes genetic and/or developmental enamel formation and maturation abnormalities such as enamel hypoplasia and enamel hypomineralization:" With the AVDC clarification on this nomenclature, veterinary dentists can better work with breeders, companion animal owners and veterinary providers. From the perspective of our doctors, we hope to appropriately advise animal owners of these dental abnormalities, and offer treatments to ensure our pets are pain-free with optimal teeth function. Notice these teeth are very rough and appear "pitted". These teeth seem to have areas of missing enamel. 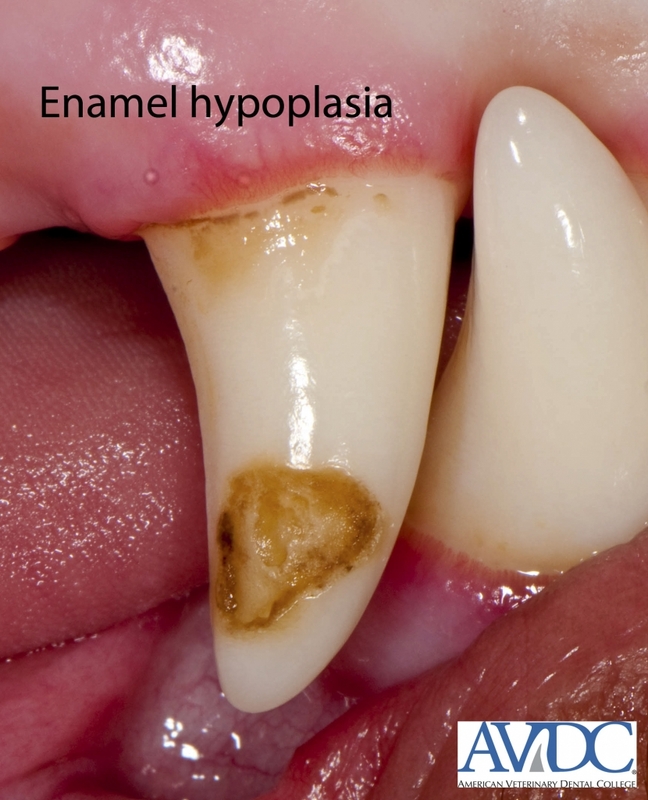 Why do these enamel defects matter? Enamel has no nerve or blood supply and is considered "insensitive". The underlying dentin however, has blood and nerve supply and can be very sensitive. Our doctors assume teeth that have the potential to be painful should be treated. We offer options to restore these teeth to normal function. This is a huge advantage over extracting (or "pulling") them.